Goals: Provide training in stratigraphy, sedimentology, paleontology, geochemistry and petrology of the Messinian geological record in the Sorbas Basin (Spain) with lectures, practical exercises, and fieldwork. Tuesday April 23. Lectures: Origin of the Sorbas basin: structure and sedimentary infill (F. Sierro) – Marginal deposits: Messinian pre-and postevaporitic coral reefs and associated deposits (J. C. Braga) – Fieldwork: General Stratigraphy of the Sorbas Basin. Wednesday April 24. Lecture: Abad Formation: Astronomical (Milankovitch) Climate Forcing (F. Hilgen) – Fieldwork: Field visit to the Sorbas basin: Pre-Messinian deposits. Thursday April 25. 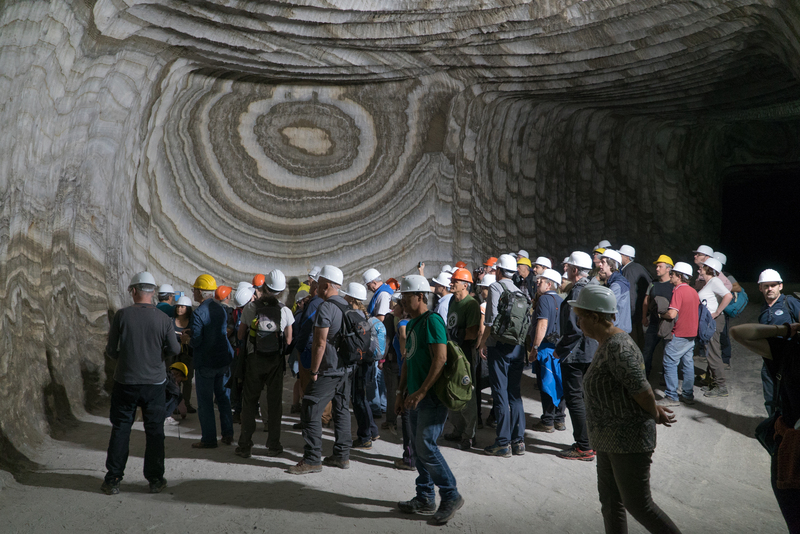 Lectures: The Messinian Salinity Crisis: State of the Art (M.J. Herrero)- The Messinian Salinity Crisis impact on marine biota (K. Agiadi) – Fieldwork: Field visit to the Messinian Gypsum deposits. Friday April 26. Lecture: The Coastal Marine Late Messinian Sorbas Member (C.J. Dabrio) – Fieldwork: Field visit to the Late Messinian Coastal deposits. Messinian post-evaporitic deposits. Organizing Committee: María Josefa Herrero Fernández (University Complutense of Madrid), Konstantina Agiadi (University of Athens), Francisco Javier Sierro Sánchez (University of Salamanca), Juan Carlos Braga (University of Granada), Fritz Hilgen (Utrecht University). Trainers: María Josefa Herrero Fernández (University Complutense of Madrid), Konstantina Agiadi (University of Athens), Francisco Javier Sierro Sánchez (University of Salamanca), Juan Carlos Braga (University of Granada), Fritz Hilgen (Utrecht University), Cristino Dabrio (University Complutense of Madrid), José Ignacio Escavy Fernández (University Politécnica of Madrid). Participation: The school is co-organized with the Marie Skłodowska-Curie ETN SALTGIANT, which will provide up to 15 participants from the Early Stage researchers enrolled in the SALTGIANT PhD programs. MEDSALT will support the participation of up to 12 additional trainees with a fixed grant to cover the travel, accommodation, and subsistence costs.